Use the quiz directly on your site as a widget or simply link to a hosted version. Did we say that already? No need to pull out your hair. We engineered it to be usable -- through and through. Everything is securely hosted by us so there's nothing to update, upgrade or maintain. Got lots of mobile users? No problem! We support all devices out of the box. Yes, desktops too. We solemnly swear we're up to no evil. In a world of tldr, quizzes are a proven, and very sticky way, to engage your audience. Stickiness, in turn, massively improves your search engine ranking as it positively affects your 'time on site'. If you run a popular blog or website, jQuizzy is for YOU. Our users span the entire spectrum from education to entertainment, from politics to science. Let's face it: we all like sharing. And we certainly love bragging! 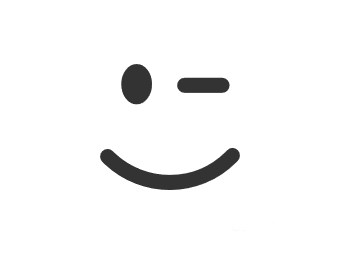 jQuizzy produces tweetable, likeable and very shareable quizzes. The results can be shared directly at the end of the quiz too! Go viral in a jiffy! No, seriously. jQuizzy is powered by Ramen and water. 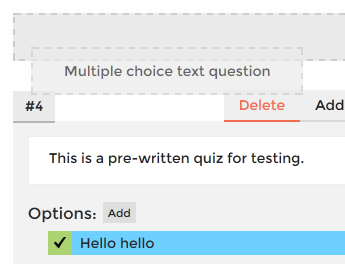 Just drag and drop to create your quiz with our intuitive, easy to use editor. Include as many images, or any media, as you want. 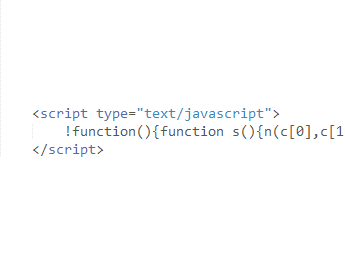 Copy and paste a small snippet of code where you want to display your quiz. There's no step three! Enjoy the rest of your day. We recommend disco! Here's a much longer, and detailed, feature set. Procurement departments... We know, right? Choose from a range of types including the popular multiple choice, sort and free text types. Need to create a precisely timed quiz? We've got you covered. We protect you against cheaters too. Let your users walk through your quiz once they're done with the aid of your answers and explanations. Simply drag and drop to create your quiz. Re-arranging questions, and answers, is just as easy. Every quiz you create comes with rich and usable analytics. Who doesn't love pretty charts? jQuizzy includes powerful pre-built and custom filters to let you get just the data you want. In case we cease operating, the entire code base of jQuizzy will be released as open-source. You can export your data and reports in a jiffy if you leave. We'll definitely be sad you left though. With plans starting at just $9.99 a month, you can't afford to not try it. You'll love it, we promise! © Siddharth. All rights reserved.